If you're a member of Talk About Fabric, you might recognize this combination. It started as a mood board I did over there a couple of months ago. It's been a fun whirlwind of parties and family around here. In the span of sixteen days, my daughter turned three, we celebrated Christmas, New Years, and my son turned five! Phew. We alway end the year with a bang. Now, I'm ready for a deep breath and a new project. Let's get that sewing machine humming! Love those fabrics! I'm a complete beginner when it comes to quilting, but am starting slowly. 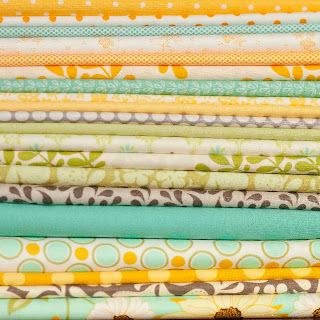 My question is about you pulling together that collection of fabrics - do you take them to the store to match others to? How much of each fabric to you buy? I see fabric I love in stores, but never know what goes with what, or how much to buy. I end up buying 1/2 yard of an assortment of fabrics. Time to do something with them all! What a wonderful way to bring 2010 to an end!! I do love that print and that entire collection. 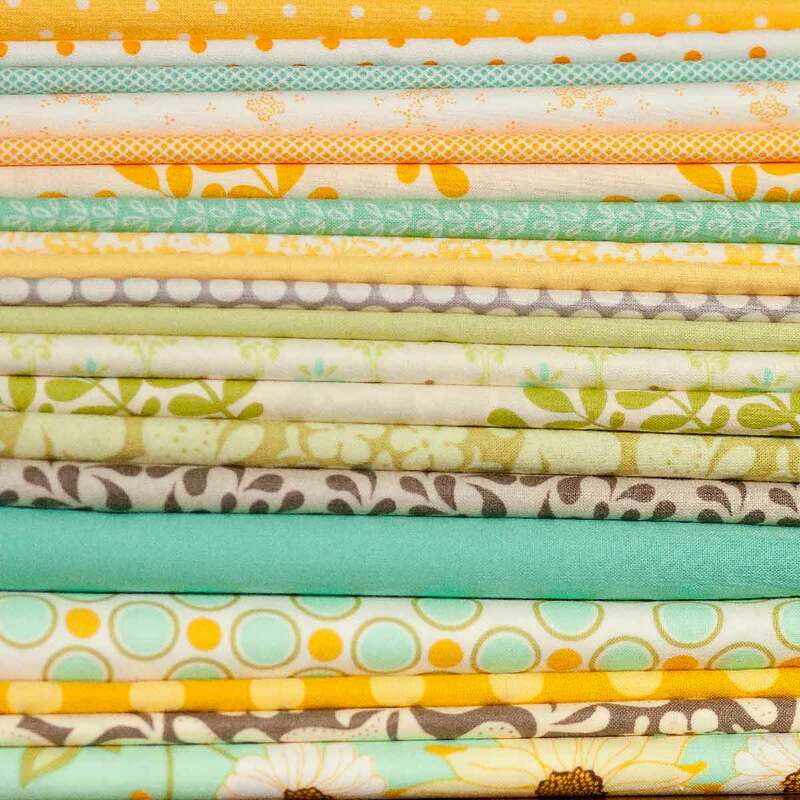 You chose some fabulous inspiration quilts for your new project. Looks like a great way to start off the new year. I love your collection of fabrics. 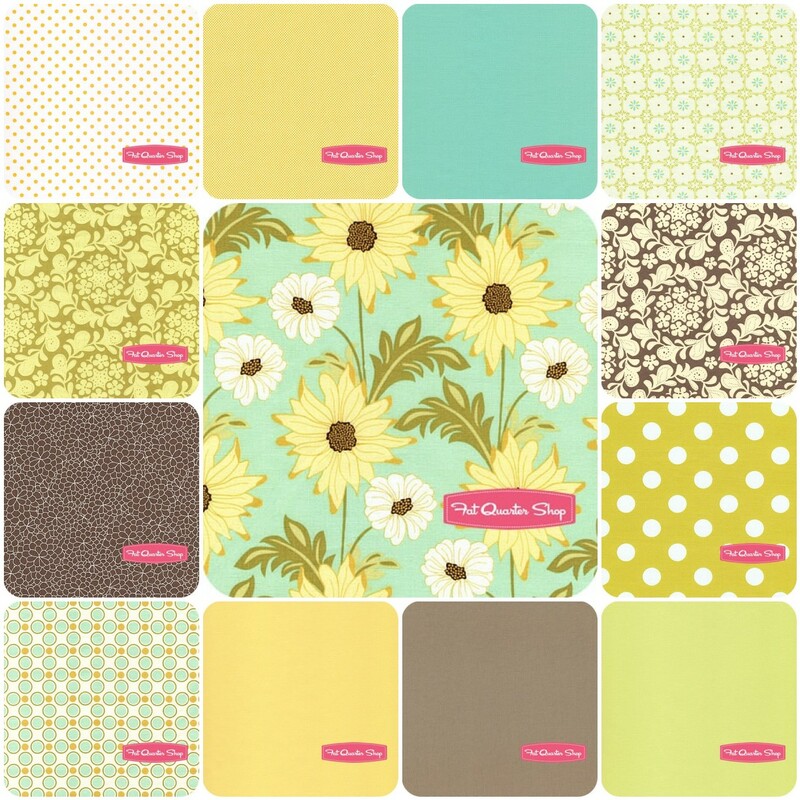 I think the Meadowsweet 2 line was under-appreciated in the blogosphere--maybe people were not really interested because it was new colors of the same prints? Anyway, I love the fabrics and colors you've put together! Those colors together are so happy! And as much as I get scared by hst's... I adore the way they are so playful. Really looking forward to seeing this quilt unfold! I like that HST mish mash A LOT! In fact I was thinking of doing something the same with solids. I can't seem to get into any of the topics on the forum at the moment - I click and nothing happens. Any ideas? I love this stack! I can't get enough of aqua & yellow. Love the colours! I just picked up some of the Meadowsweet line and other dots too... I love yellow. Happy colours. I am sharing the love of the half square triangles. Definitely addictive. I saw this over on flickr and just had to pop on over and comment. I really love this combo of fabrics...perfection!